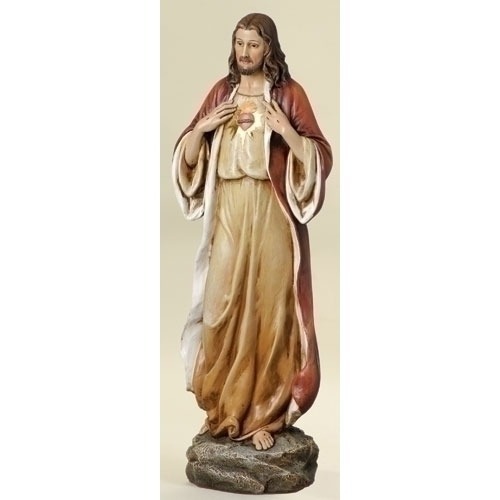 This glorious Sacred Heart of Jesus statue has been meticulously hand-painted by highly skilled artisans with rich coloring and detail. Suitable for home, school or parish. From the popular Joseph’s Studio line, and made of lightweight resin/stone mixture, this statue measures approx. 14”H x 5”W x 4”D. Intended for indoor use.